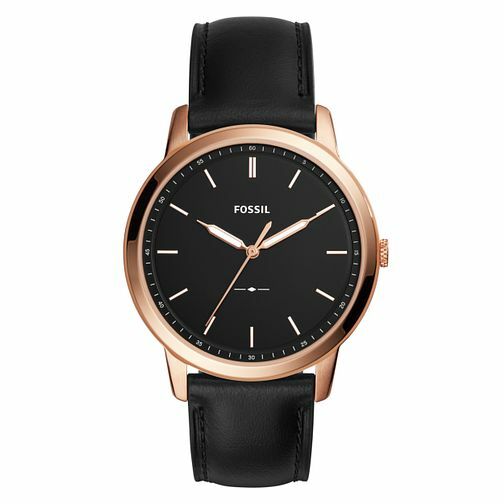 Sleek, simple styling comes in the shape of this men's Fossil Minimalist black leather strap watch. The rose gold tone case and time hands are the perfect contrast to the simple black dial and white baton hour markers. This watch is the ideal, masculine timepiece for the modern man. Fossil Men's Black Leather Strap Watch is rated 5.0 out of 5 by 1.